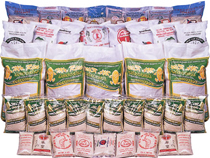 In order to product premium quality rice that is well-known among both domestic and foreign customers, the company has always recognized the need to equip modern and efficient machinery such as destoning, cleaning, polishing, color sorting and grading machines. 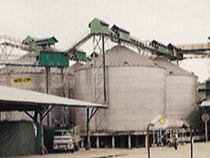 With its long-standing experience in the rice milling business, the company is able to select the best quality materials and maintain a high level of production. Together, there guarantee the consistently excellent quality of the company's products which have always been well-received among its customers. 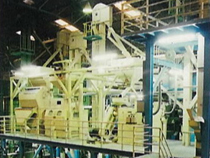 The advanced technology of rice processing is introduced to our production line in order to classify,select, and produce the top products. The process beginwith cleaning by magnetic detector. It will capture all metal impurities and residues. 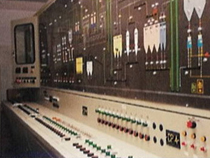 Next, at the cleaning stage, any large remainders or small particles such as dust will be removed. The rice then proceeds to the destoner which will remove any small fragment in the rice. The cleaned rice is then passed onto the polishing process to give the rice the glossy white color. Next, the polished rice will proceed to grading process to separate various sizes of broken rice from head rice. 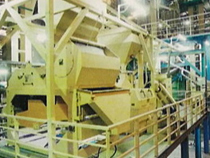 The rice is then passing through the color sorter. 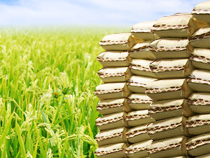 By the use of advance technology in CCD system, the rice grains different in color from the standard are sorted out. 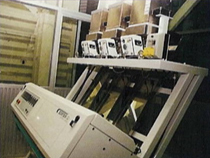 Prior to shipments, the product, the packaging procedure, and the containers are subjected to final inspection. 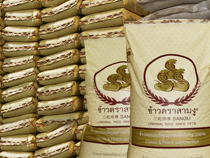 Then, the high standard rice product is precisely weighed and packed according to requirements and delivered to our valued customers.